Free private registration - other domain registrars charge extra for this. If you have 10 domains and select private registration service, that's already 10x of that add-on cost more than getting it for free. Bundled with customized e-mail - You usually need to associate your domain with a hosting provider to setup and configure your customized e-mails. Sometimes you'll just use your gmail account. This is powered by the Gmail engine learning curve is very minimal if you're already familiar using Gmai. Use Google's DNS Servers as your own - Your domain would connect quickly and reliably to your website. Integration with Google Apps - If you were using Google Apps in the past, you would have had to register a domain elsewhere and integrate it with the Google Apps and the Google Apps engine. Now it's a one-stop shop. Website Building Integration - Google is working with some of the top website building providers like +Shopify, +Squarespace, +Weebly, and+Wix.com to integrate with their interface and setup. Other standard features of domain registrars include domain forwarding, subdomain creation and customer support. Does this mean that you should start transferring your domains from your current registrar to Google Domains? Well, it is in beta phase, so expect new features and modifications to be heavily rolled out. Better to wait till it moves out of beta and becomes readily available to the public. You could also register a test domain (when it becomes available) to play around with the configuration and setup enough to be confident in transferring a whole bulk of domains if that's what your long term goal is. 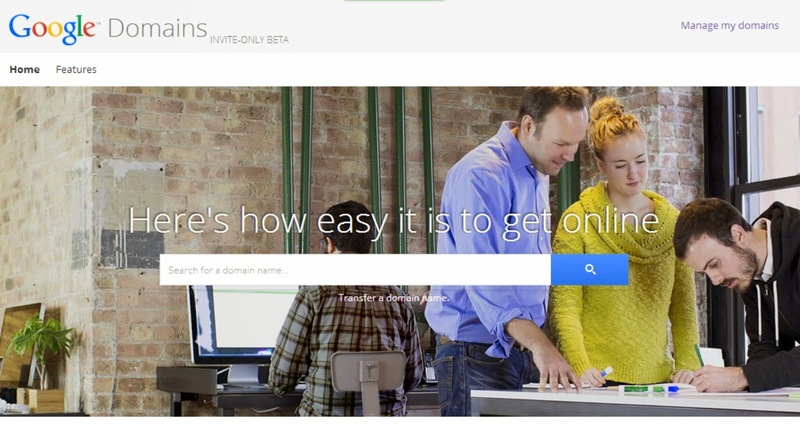 If you want a sneak peek and try out the beta version, you can request for an invite to Google Domains here. So far it's priced at $12/yr, but with free private registration and other services that are addons to other domain registrars. Hopefully, they'll also offer discount promos, coupons and codes to compete with other registrars too.